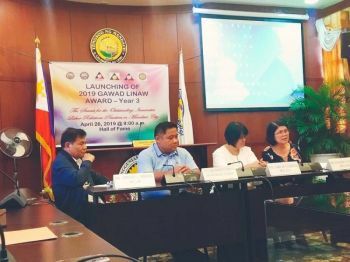 LOCAL Government Secretary Eduardo Año said the female suicide bomber responsible for the Jolo twin blasts left a 10-year-old daughter in Sulu. "'Yung babae (suicide bomber), December lang 'yun dumating (sa Pilipinas). Tapos meron din 'yung anak na 10 years old na iniwan dito sa mga sympathizers at supporters ng Abu Sayyaf," he said in an interview on Thursday, February 7. Año, a former chief-of-staff of the Armed Forces of the Philippines (AFP), said the information came from his sources, who also confirmed that the suicide bombers were Indonesian couple but their identities are still being investigated. Meanwhile, Año lauded the Philippine National Police (PNP) and the AFP for solving the twin blasts at the Our Lady of Mount Carmel Cathedral in Jolo, Sulu that killed 23 people and wounded 95 others. “As far as the government is concerned, the Jolo bombing case is already solved. We have already identified the perpetrators of the bombing and they are now under police custody. As to the other conspirators, an intensive manhunt is now underway and we will continue to pursue them until all those involved are brought to the bar of justice,” he said. “With this case solved, we are one step closer in giving justice for the death of the victims. Congratulations sa mabilis na aksyon ng ating kapulisan at military. Congratulations for the speedy action of our military and police!” he added. Five suspects in the Jolo cathedral bombing surrendered to authorities over the weekend. 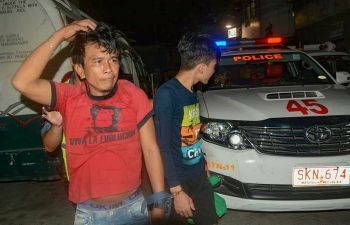 PNP Chief Oscar Albayalde identified the suspects as Kammah Pae alias Kammah, a member of the Abu Sayyaf Group-affiliated Ajang-Ajang group earlier identified as primary suspect in the bombing; Albaji Kisae alias Awag and his sons Rajan Bakil alias Radjan and Kaisar Bakil alias Isal, as well as Salit Alih alias Papong. Albayalde said 14 more suspects, including Abu Sayyaf leader Hatib Hajan Sawadjaan, the alleged mastermind, remain at large. 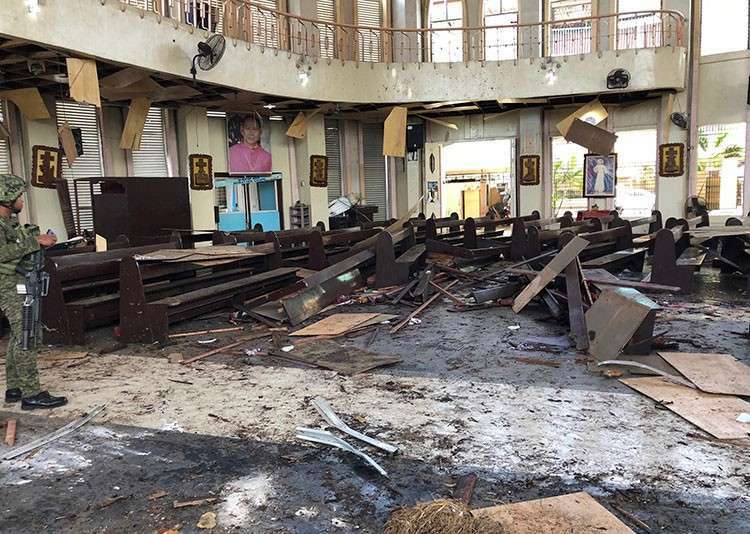 Twenty-three counts of murder, 95 counts of frustrated murder, and damage to property were filed by state lawyers before the Jolo Regional Trial Court against five suspects in the Jolo cathedral bombing.